Diabetes is a chronic condition and when poorly controlled can lead to complications and death. Patients with glycated hemoglobin (A1C) measures >9 % are at significant risk for diabetes-related complications impacting the patient’s quality of life and imposing higher costs on the healthcare system. A1C reductions of 1 % or greater in this population have demonstrated substantial health and economic benefits. Reducing the percent of patients at risk is an essential component of quality-care measures established for patients with diabetes. To evaluate if switching patients prescribed subcutaneous insulin injections to V-Go for insulin delivery would impact clinical and economic parameters in patients with poorly controlled diabetes (A1C > 9 %). The study was a retrospective analysis using data extracted from the electronic medical records database of a multicenter diabetes system. Outcome measures included mean change in A1C from baseline, the percent of patients achieving a reduction in A1C ≥1 % while on V-Go therapy, and the impact to quality measures. In addition, economic analyses were conducted to assess the pharmacy budget impact and projected implication to total healthcare cost. Ninety-seven patients were evaluated after a mean duration of 13.6 ± 6.9 weeks of insulin delivery with V-Go. Switching to V-Go resulted in an overall mean change (95 % CI) in A1C of −2.0 % (−1.7 to −2.3; p < 0.001) from a baseline of 10.5 %. Seventy-three percent of patients achieved an A1C reduction ≥1 %. Cost analysis supported a direct pharmacy savings of $119.30 (18.80–219.60, p = 0.020) per patient per month compared with baseline. Switching to V-Go for insulin delivery resulted in significant glycemic improvement and proved cost effective. This real-world assessment could be applied more broadly at the health system and plan level. Modest improvements in A1C levels can reduce the onset and/or progression of complications in patients with diabetes at high risk and may ease the burden of total healthcare costs. Insulin therapy is conventionally delivered by subcutaneous injections and is often prescribed for patients with poorly controlled diabetes; however, over 30 % of patients remain poorly controlled despite insulin injections. This lack of control brings to light the need for decision makers to evaluate if new insulin delivery alternatives offer advantages for improving glycemic control. V-Go, a new disposable insulin delivery device proved beneficial for the patient, payer, and plan through improved glycemic control and reduced direct pharmacy costs. Furthermore, positive implications to HEDIS measures and Star Ratings were likely secondary to 71 % of this high-risk population achieving an A1C ≤ 9 %. Diabetes-related complications including cardiovascular disease, kidney disease, neuropathy, blindness, and lower-extremity amputation contribute significantly to increased morbidity and mortality among patients with diabetes, and dramatically affect healthcare expenditures . Evidence shows that patients with poor glycemic control (A1C > 9.0 %) are at high risk for long-term complications [2, 3, 4]. Decreasing this risk is an established priority as demonstrated by quality performance measures. The Healthcare Effectiveness Data and Information Set (HEDIS measures), one of the most widely used sets of healthcare performance measure in the USA and the Star rating system used by Medicare both have negative scoring implications for patients with A1C measurements >9 %. Costs related to diabetes have been reported to be two to eight times higher in poorly controlled patients or those with diabetes complications [5, 6]. Between 2007 and 2012, the national economic burden grew by 40 % for diagnosed diabetes, with diabetes complications accounting for more than 35 % of the estimated US$91.8 billion in direct medical expenditures . Medications as a whole represent over one-quarter (28 %) of all health expenditures attributed to diabetes healthcare cost . Improving glycemic control as defined by diabetes quality measures can delay the onset and progression of diabetes complications resulting in improved quality of life for patients and a decreased cost burden to healthcare systems. A positive correlation has been validated between glycemic markers and the risk for complications in patients with type 2 or type 1 diabetes. In the United Kingdom Prospective Diabetes Study (UKPDS), each 1 % reduction in A1C was associated with a decrease in risk of 37 % for microvascular complications, a 14 % lower rate of myocardial infarction, and a 21 % reduction in deaths associated to diabetes . In the Diabetes Control and Complications Trial (DCCT), a 10 % reduction in A1C decreased the risk for retinopathy progression by 40–50 % . Achieving these glycemic reductions in patients who are less controlled typically requires insulin. Insulin is regarded as one of the most potent agents available to address hyperglycemia when non-insulin glucose-lowering medications (NIGLM) fail to maintain or improve control. However, greater than 30 % of patients remain poorly controlled despite being prescribed insulin . Establishing an understanding as to why persistent hyperglycemia exists despite insulin therapy is essential to improving care. Evaluating whether the prescribed insulin regimen provides adequate coverage to match glycemic fluctuations is an essential first step as insulin secretion from the pancreas is limited with disease progression. Secondly, the assessment of insulin adherence can provide valuable insight when efficacy expectations fall short. Studies have demonstrated the complexity of a regimen and the desire to avoid embarrassment from injecting insulin in public can contribute to insulin non-adherence and have a negative impact on efficacy [11, 12, 13]. Missing the equivalent of four mealtime injections per week for 3 months has been correlated with a 0.92 % increase in A1C . Prescribed insulin regimens should provide sufficient glycemic coverage and address adherence obstacles to improve patient outcomes. V-Go® Disposable Insulin Delivery device is a wearable device for adult patients requiring insulin. V-Go provides a simple method to offer basal-bolus insulin delivery to cover both fasting and postprandial glucose excursions with one application per 24 h. V-Go is filled with U-100 fast acting insulin, applied to the skin and with the push of a button inserts a 4.6-mm 30-gauge stainless steel needle subcutaneously, which initiates delivery of a continuous preset basal rate of insulin for 24 h. Mealtime insulin coverage is achieved by the simple push of two buttons sequentially . Insulin delivery with V-Go has been associated with improved glycemic control across a wide range of patient demographics and has been demonstrated to be a more cost-effective method of basal-bolus insulin delivery when compared to multiple daily injections of insulin [16, 17, 18, 19]. However, to our knowledge, data are lacking pertaining to the impact of V-Go in a high-risk patient population. The purpose of this analysis was to evaluate the impact on both glycemic measures and costs for patients with poor glycemic control despite being prescribed subcutaneous insulin injections, switched to V-Go for insulin delivery. Data for this retrospective analysis were extracted from the electronic medical record (EMR) database of Diabetes America, a specialized diabetes system including 13 comprehensive centers located across the state of Texas, USA. A systematic search using keywords identified potential patients switched to V-Go between 1 April 2013 and 31 October 2014, and patient charts were then reviewed using study inclusion and exclusion criteria to determine study eligibility. Patients were managed per clinician standard of care including timing and frequency of follow-up visits and medication management. The study protocol was reviewed and approved by Allendale IRB, and a waiver of informed consent was approved. Inclusion criteria required: (1) patients diagnosed with diabetes mellitus (type 1, type 2, or LADA); (2) age equal to or greater than 21 years; (3) baseline A1C between 9 and 14 % (within 6 weeks of V-Go initiation); (4) previously prescribed basal or basal-bolus insulin therapy with or without NIGLM, and switched to V-Go for insulin delivery; and (5) a minimum of one subsequent A1C laboratory value on V-Go therapy. Patients were excluded for: (1) history of treatment with U-500 insulin preceding V-Go initiation or the non-US Food and Drug Administration (FDA)-approved utilization of U-500 insulin in V-Go; (2) administration of insulin via an insulin pump immediately preceding V-Go initiation; (3) pregnancy or lactation; (4) undeterminable insulin dosing due to insufficient chart information; or (5) a history of pancreatic cancer. Clinical and demographic data were extracted from the EMR at baseline and for the first follow-up visit when an A1C value was captured. Clinical data extracted for this analysis included A1C values, prescribed insulin, NIGLM, body weight, body mass index (BMI), co-morbidities, and patient-reported hypoglycemic events. Insulin is commonly prescribed utilizing a range in dose to allow additional units for insulin therapy optimization (titration, correction, sliding scale). The total allowable insulin dose was used for all clinical and economic evaluations. The mode of delivery (insulin pen, vial, and syringe, V-Go) and insulin brand were collected and accounted for to provide an accurate economic assessment. Concomitant NIGLM were recorded before and during the evaluation period. All prescribed NIGLM were captured by dose, brand, and class and included biguanides, dipeptidyl peptidase-4 inhibitors, GLP-1 receptor agonists, sodium glucose linked transporter-2 inhibitors, sulfonylureas, thiazolidinediones, and combinations of these drug classes. Patients were grouped based on evidence of an increase, decrease, or no change to baseline diabetes medications at the follow-up visit. 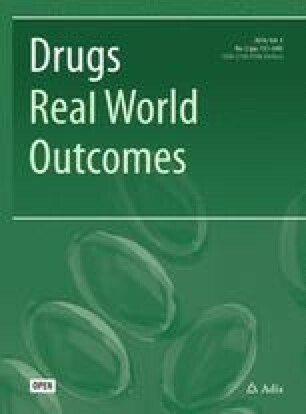 Only those increases or decreases to concomitant medications where adequate time had elapsed for the medication change to impact clinical outcomes were considered. An addition or removal of a medication, qualified as a change in concomitant medications. Patients with both an addition and removal of medication were not grouped for further sub-analyses. The principal investigator oversaw review of subject records to determine study eligibility and data collection. Records from all sites were reviewed via the EMR database. Clinical results were collected and included in this study analysis through the first follow-up A1C result on V-Go or 31 March 2015, whichever occurred first. This study was designed to specifically evaluate a high-risk diabetes population. Clinical evaluations included change in glycemic control measured by A1C and change in insulin total daily dose (TDD) from baseline with additional consideration for changes to NIGLM. Further analyses pertaining to glycemic control were conducted to assess the percentage of patients achieving an A1C reduction ≥1 % and those achieving an A1C ≤ 9 % while on V-Go therapy. Direct diabetes-related pharmacy costs before V-Go and on V-Go were calculated to assess cost impact to the pharmacy budget. All insulin costs were normalized by calculating a 30-day insulin requirement based on the total allowable prescribed TDD and multiplying monthly insulin dose in units by the unit cost of the prescribed insulin. Costs associated with mode of insulin delivery (pen needles, syringes or V-Go) were also included. All changes to concomitant NIGLM were captured; however, only changes encompassing branded medications were accounted for in pharmacy cost calculations. Costs of all glucose lowering medications were based on published wholesale acquisition costs (WAC) in 2015 US dollars . We further sought to determine the projected annualized impact to total healthcare costs by using an established economic model for patients achieving an A1C reduction of ≥1 %. Descriptive analysis (mean, percentage, standard deviation) were performed for all baseline characteristics. Repeated-measure t-tests were used to assess the changes in A1C, insulin, and cost variables from baseline for all patients as well as differences based on changes to NIGLM. Subgroup comparisons based on increases, decreases, or no changes to NIGLM were performed using ANOVA for continuous variables and chi-square tests and Fisher’s exact test for categorical variables. A between-group sensitivity analysis for change in A1C and insulin was conducted with a one-factor analysis of covariance (ANCOVA) model with the factor based on change to NIGLM and the baseline corresponding variable as a covariate. Baseline characteristics are shown in Table 1 for 97 patients who had been switched from subcutaneous insulin injections to V-Go and met eligibility requirements. The mean ± SD duration of diabetes for this high-risk population was 13.8 ± 8.7 years with a baseline A1C of 10.51 ± 1.08 % and weight of 98 ± 22 kg. Over 60 % of the studied population had a duration of diabetes ≥10 years. All patients were administering insulin at baseline, with the majority prescribed basal-bolus therapy and diagnosed with multiple underlying co-morbidities. Regardless of insulin regimen at baseline, significant A1C reductions were observed with V-Go and the incidence of patient-reported hypoglycemia remained similar to baseline. Change in mean A1C is shown in Fig. 1. Following a mean of 13.6 ± 6.9 weeks using V-Go for insulin delivery, mean ± SD A1C was 8.48 ± 1.20 % (p < 0.001). An A1C reduction of ≥1 % was achieved by 73 % of patients (71 out of 97 patients) and nearly three-quarters (71 %) achieved an A1C ≤ 9 %. Over one-third (36 %) of the total patients achieved an A1C ≤ 8 %. Evaluation of A1C distribution for this high-risk population before and on V-Go is represented in Fig. 2. In addition to significant improvements in A1C, there were significant reductions in total insulin requirements. Switching to V-Go resulted in an overall mean change (95 % CI) in TDD of −39.1 units/day (−28.7 to −49.6; p < 0.001) from a baseline of 98.7 units/day. Insulin TDD based on units/kg changed from 1.02 ± 0.57 to 0.60 ± 0.17 units/kg/day; p < 0.001. Patients administering basal-only insulin regimens were prescribed 62.8 ± 36 units/day prior to V-Go and were able to decrease total insulin requirements to 56.1 ± 15.1 units/day, p = 0.275. For patients administering a basal-bolus insulin regimen at baseline, a 49 % reduction in TDD with V-Go was observed from a baseline of 119.9 ± 58.4 units/day, p < 0.001. Changes made to NIGLM while on V-Go therapy were evaluated to determine whether changes in clinical parameters (A1C control and insulin dose) were influenced by these changes. Fifty-two patients had no change to concomitant NIGLM, 23 patients had an increase, 16 patients had a decrease, and six patients had both an increase and a decrease to NIGLM based on the information available in patient charts. Clinical findings based on change to NIGLM are shown in Figs. 1 and 3 and Table 2. All groups demonstrated a significant reduction in A1C from baseline (p < 0.001) irrespective of changes to concomitant NIGLM. Sensitivity analyses were conducted based on change in NIGLM using a model adjusted for baseline A1C to calculate change in A1C. These findings were similar to the primary results with an adjusted mean (SE) change of −2.02 ± 0.30 for those with no change compared to −1.95 ± 0.25 and −2.02 ± 0.30 for those with an increase or decrease, respectively. Differences in A1C reductions were not significant (p = 0.983) between any group when compared to each other. A model adjusting for baseline insulin doses was used to compare insulin reductions between patients where no change was made to NIGLM and for those where an increase in NIGLM was made. A significant between-group difference of −12 units/day (p = 0.003) was demonstrated favoring those with no change in concomitant medications. In light of the high percentage (86 %) of patients diagnosed with type 2 diabetes and the potential role of insulin resistance, changes to therapeutic agents known to address insulin resistance were further evaluated for clinical relevance to findings. Metformin dosing was consistent between baseline and follow-up (1600 mg/day) with no apparent clinical relevance on the findings. Thiazolidinedione (TZD) dosing also remained similar to baseline; however, the percentage of patients prescribed TZD increased from three to six patients. Greater A1C reductions (−3.3 % from baseline) were observed for patients prescribed TZD along with a mean insulin TDD reduction of 30 units/day. Direct diabetes-related pharmacy costs before and on V-Go are shown in Table 3. There were significant reductions in direct pharmacy costs while improving glycemic control with V-Go insulin delivery (Fig. 4). Cost savings are discussed as per patient per month (PPPM) and per patient per quarter (PPPQ) using actual prescription data and medication changes as recorded in the EMR. V-Go use across the patient population resulted in a direct PPPM and PPPQ mean pharmacy cost savings (95 % CI) of $119.30 (18.80–219.60; p = 0.020) and $358.00 (57.00–658.00; p = 0.020), respectively. Direct pharmacy savings were also realized across all patients stratified by change in concomitant NIGLM. In those patients where the only therapeutic change was the switch to V-Go for insulin delivery, pharmacy costs were reduced significantly by 15 % (p = 0.017). Additional medical cost reductions are probable given the level of glycemic improvement. An established economic model published by Wagner et al. projects A1C reductions ≥1 % have a projected annualized total healthcare cost savings of $1169 (± 10 %; range $1052–$1286) per patient based on 2011 US dollars. Applying this model to the 71 patients (73 %) experiencing an A1C reduction of ≥1 % in this analysis would equate to a projected annualized total healthcare savings of $82,999 ($74,692–$91,306). Increased healthcare costs and resource utilization can be expected for patients with poor glycemic control. In addition, poor A1C control may impact the performance of the health plan and how the plan measures against national and regional benchmarks. A longer duration of diabetes increases the likelihood of poor glycemic control. Patients with diabetes for 10 or more years have been shown to be more than nine times as likely to have poor control compared to patients with 3 years or less . As the disease progresses and the physiological processes are disrupted, treating patients with persistent hyperglycemia can be challenging. Evidence supports that even modest glycemic reductions can prevent deaths from complications related to diabetes and A1C reductions of ≥1 % have proven instrumental in decreasing the onset and/or progression of complications having a positive effect on total medical costs. Better adherence to diabetes medications has been associated with a 13 % reduction in the risk of hospitalization or a visit to the emergency room . It has been projected that greater medication adherence can reduce the annual medical spending per patient by $4413 for adults and by $5170 for patients ≥65 years of age . Insulin is widely used and a proven therapeutic agent for patients with diabetes; however, one-third of patients remain uncontrolled despite insulin therapy. New advancements in insulin delivery support glycemic lowering and improve adherence through easing the burden of insulin therapy. History informs us that embracing advancements of this nature have proved beneficial as the conversion of insulin delivery from a vial and syringe to an insulin pen was associated with improved adherence resulting in significantly fewer hypoglycemic events, reduced emergency department and physician visits, and lower annual treatment costs . V-Go is simple to use and provides convenient and discreet administration of basal-bolus insulin delivery. This study was designed to reflect real-world diabetes management and to evaluate the clinical and economic impact of V-Go a new disposable insulin delivery device for insulin delivery in a poorly controlled patient population. Based on the long duration of diabetes in the majority of patients studied, insulin production by the pancreas was likely limited. A high probability exists that prescribed baseline insulin regimens were either insufficient to provide full glucose coverage or considered complex by the patient, thus negatively affecting adherence. Switching insulin delivery from subcutaneous injections to V-Go provided patients with a 24-h efficient and continuous basal rate of insulin and the option for mealtime dosing with only one application per 24 h.
In less than 4 months, mean A1C levels were significantly reduced, utilizing 40 % less insulin, and 73 % of patients achieved an A1C reduction of ≥1 % on V-Go. These improvements are impressive considering aggressive pharmacological interventions had previously been prescribed to this population and switching to V-Go for insulin delivery was the only therapeutic change in the majority of patients. We attribute glycemic improvements to efficient and appropriate insulin coverage as well as improved adherence to mealtime dosing as additional preparation processes are not required with V-Go to administer mealtime insulin and the insulin can be delivered discreetly. These opinions are based on the fact that even patients prescribed multiple daily subcutaneous injections at baseline demonstrated a mean A1C reduction of 1.8 ± 1.6 % once switched to V-Go. Cost implications to the payer and plan were positively impacted. Direct diabetes-related pharmacy costs were significantly reduced with V-Go. Furthermore, improvements to the A1C distribution for the patient population on V-Go could have far reaching implications for the improvement of quality metrics as both HEDIS and Star ratings encourage targeted initiatives to improve the quality of care and reduce the percent of patients with A1C measurements >9 %. Reimbursement rates and ratings for elderly Medicare patients from CMS to health insurers are higher if A1C levels are improved below these thresholds. Physician pay for performance initiatives by health plans and the medical home model have been initiated as an effort to improve diabetes care. Prior to V-Go therapy the patient population presented here had not achieved diabetes targets despite aggressive pharmacologic intervention. Switching to V-Go resulted in 71 % of patients achieving glycemic targets ≤9 %. With additional time and insulin optimization further improvement and benefit should be expected. There are limitations to this analysis. First and foremost, this was a short-term retrospective study and did not include a parallel control group. The analysis population served as their own control with changes compared from baseline. A careful review was performed to identify patients switched to V-Go to ensure there was no sample selection bias. Secondly, cost calculations were based on prescribed medications documented in the medical records and may not be reflective of actual adherence and fulfillment may have differed. Thirdly, to be included in the analysis patients were required to have at least one follow-up office visit with an A1C result recorded so the data in our study may not be representative of all patients initiating V-Go therapy and may be influenced by patients with a propensity to adhere to medication. Finally, the prevalence of actual hypoglycemia may have differed as patient self-reporting was used in the findings. These data represent real-world experience with no educational initiatives, special procedures, trainings and/or practice changes implemented during the study period that could have contributed to the results. The data recording process was consistent across baseline and on V-Go. This study supports the effectiveness of V-Go, a new alternative for insulin delivery, in patients with poor glycemic control at high risk. Significant reductions in A1C, insulin doses, and direct pharmacy costs were all observed after switching to V-Go. These findings are reflective of clinical care practice in a real-world setting and could be applied more broadly at the health system and plan level. The authors would like to thank Donna Doherty for her assistance in data collection. Findings from a portion of the dataset used in preparing this manuscript were presented at the Academy of Managed Care Pharmacy Meeting, April 2015. Rosemarie Lajara contributed to the conception and design of the study, data collection, analysis and interpretation of data, drafting the article and final approval. Carla Nikkel contributed to the conception and design of the study, analysis, and interpretation of data, revising the article and final approval. Scott Abbott contributed to the conception and design of the study, interpretation of data, revising the article and final approval. No funding or study product was provided to the study site, study participants, or study investigators. Valeritas, Inc., Bridgewater, NJ, USA provided funding for the independent review board review. Rosemarie Lajara has received speaker or consulting honorariums from Valeritas, Novo Nordisk, Astra Zeneca, Boehringer Ingelheim and Takeda. Carla Nikkel is currently employed and a shareholder of Valeritas, Inc. Scott Abbott is currently employed and a shareholder of Valeritas, Inc.
Valeritas, Inc. V-Go instructions for patient use. ART-037 Rev: H 09/2011.http://www.go-vgo.com/sites/default/files/upload/instructions-for-patient-use.pdf. Accessed 26 May 2016. ProspectoRx [database online]. Tampa: Elsevier, Gold Standard, Inc.; 2014. https://prospectorx.com/Home.aspx. Accessed 1 Sept 2015. Juarez DT, Sentell T, Tokumaru S, Goo R, Davis JW, Mau MM. Factors associated with poor glycemic control or wide glycemic variability among diabetes patients in Hawaii, 2006–2009. Prev Chronic Dis. 2012;9:120065. doi: 10.5888/pcd9.120065. [Erratum appears in Prev Chronic Dis 2013;10. http://www.cdc.gov/pcd/issues/2013/12_0065e.htm].